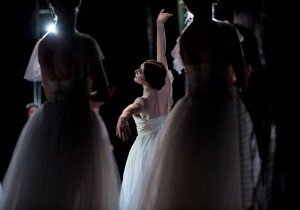 Two years ago, I began my review of Stella Abrera’s debut as Giselle after over a decade toiling in American Ballet Theatre’s soloist purgatory with the words “It’s about time.” Her performance that night was exquisite. It’s about time, parts 2 and 3. On Saturday, two more long overdue Giselle debuts were celebrated at the Met – with “celebrated” being the operative word. Although each ballerina had performed the role a month earlier during ABT’s tour to Oman, these performances were the ones that mattered; these were their “real” debuts. The results were as significant as Abrera’s debut. Both Sarah Lane in the afternoon and Gillian Murphy in the evening delivered remarkable performances, and each was complemented by respective portrayals of Albrecht that were no less noteworthy: Daniil Simkin, in his role debut, and David Hallberg, for whom this was his first major role at the Met since recovering from a potentially career-ending injury. 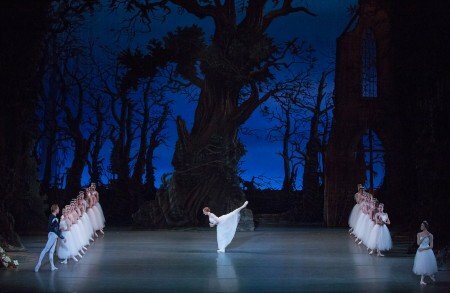 Giselle is one of those few ballets that one never tires of seeing. The narrative moves expeditiously with little excess padding; the choreography is not overly complex but never looks simple; the staging is intelligently crafted, with multiple examples of foreshadowing intelligently peppered throughout; and its title character grabs you by the heart and never lets go. The ballet’s story has always troubled me– a peasant girl falls for a nobleman/cad who deceives her, ultimately causing her madness and death; yet, despite his perfidy, she still loves him even from the grave. But that’s not what the ballet is really about. Giselle’s subject is nothing less than the power of love, evidenced by forgiveness, redemption, and transformation. Trite as that might sound, in Giselle it’s as potent as a lightning bolt to the heart. It’s my favorite ballet – and the favorite of most everyone I know. Significantly, however Giselle is not one of those ballets that one can just “appreciate”: it must draw the viewer in. To a large extent that’s a subjective response, but it’s more than a product of stage personae – if the technique and stylistic accuracy aren’t there, no amount of charisma can make it happen. But when those factors are present in addition to the compelling stage personalities of the dancers or extraordinary individual situations, even after having seen Giselle scores of times it can still pack an emotional wallop. Both performances Saturday did exactly that, but in different ways, and for different reasons. At this point in their careers Murphy and Hallberg are almost beyond criticism – at least to their armies of admirers. And with good reason. She’s the company’s prima ballerina; he’s the company’s premier danseur noble. She can do anything she’s given to do; he can still dominate a stage just by his presence. For him, the performance showed that in all significant respects he’s back. For her, it was finally landing the one role that had eluded her with ABT (she danced Giselle with the Royal New Zealand Ballet), delivering a performance that clearly illustrated why she should have been given the opportunity earlier in her career. The house was full: with the star power of the principals, and with Abrera as Myrta, people expected to see a wonderful performance, and they got it. For Lane, however, it was far more than a remarkable debut, and one that was beyond extraordinary in quality. As was Abrera two years ago, Lane has been a soloist for more than ten years, and should have been given this opportunity years ago. So although both Murphy and Lane had waited a seeming eternity for their respective chances, and although both might have thought that they had much to prove, Lane had much more on the line. Complemented by a superb performance by Simkin, this turned out to be one of those performances that one dreams about. And the only way that that can be comprehensible to anyone who goes to ballet to pay homage to stars was to have witnessed both performances. I’ve seen many, many Giselles over the past four plus decades, and Lane’s ranks with the best of them. It was youthful (a millennial Giselle, if you will), innocent, and heart-wrenching. And to me, the one that it most resembled, in quality as well as in spirit, was Gelsey Kirkland’s. I’m not privy to the components of Artistic Director Kevin McKenzie’s decision-making. Giselle is one of those roles in which a ballerina’s age is not a critical consideration – but even if it was, that wasn’t an issue with Murphy, who is in her late 30s. Rather, I suspect it’s based on a subjective determination that perhaps she couldn’t be girlish enough for Act I, or ethereal enough for Act II. And I must acknowledge that as unquestionably thrilling a dancer as she can be to watch, she has a reputation for being distant; for appearing somewhat cold and harsh – those very qualities that made her Myrta so extraordinary. I’ve commented on this previously, as have others. But her competence to dance the role’s choreography, and to act the role convincingly, has never or should never have been an issue. Murphy’s Giselle proved that all of those supposedly negative qualities didn’t matter, and shouldn’t have. Her Act I was delivered cleanly and her Act II with surprising lightness. Murphy isn’t naturally girlish, but she portrayed a shy peasant girl admirably and believably. That being said, hers was – not inappropriately – a more mature-looking Giselle, one who fit together with Hallberg’s more mature Albrecht. And that’s not a criticism. Technically, Giselle doesn’t call for the extraordinary balances and strength that Murphy is known for, and there aren’t any fouettes. But it’s not without moments of extreme beauty that her solid core technique maximized – like the developpe in Act II that she raised quickly, confidently, and held without any hesitation or wobbliness. And she executed the critical Romantic style sufficiently well, with her arms becoming lighter and more appropriately rounded as her performance in the second act evolved. Any trace of harshness was gone. No less significantly, the undeniable stage chemistry between her and Hallberg was palpable. Was it flawless? Not to me – and I’ll provide some examples below. But that isn’t nearly as important as the fact that she danced the role as compellingly as she did. I’ve seen Hallberg’s Albrecht many times, but this performance was significant if only for the fact that he was there at all. Technically, his portrayal was immaculate, and was highlighted by his entrechats six during his Act II pas de deux solo, and his perfectly executed pair of Act II overhead lifts, in which he held Murphy aloft and traveled in a tight 360 degree circle while doing so. It might not have equaled the finest of his Albrechts, but at this point, so soon after his injury recovery, it was electrifying to watch. Emotionally, his Albrecht was as I recall it always having been: this Albrecht fully intended to take advantage of the village maid, feels terribly remorseful, and in the end is not quite sure what happened but he’s been transformed. Unlike Murphy, and assuming that there is an optimal way to “look” like a Giselle, Lane looks the part. She could have done Act I in her sleep, and is as naturally ethereal-looking for Act II as any ballerina can be. But Lane accomplished considerably more than just showing up and producing her expected stage persona. In the discussion that follows, in order to place what Lane (and Simkin) did in context, at times I’ll compare highlights of their performances with what I saw in the evening. This is not a criticism of the evening performances – rather, it’s intended to illustrate why Lane and Simkin’s portrayals were on another level. Lane was “on” from the first jump. Unlike Murphy and most other ballerinas who assay the role whose jumps are closer to the ground, Lane’s initial jump soared. If you saw Natalia Osipova’s Giselle – already accomplished by the time she debuted in New York, and whose buoyancy I then described as like being a petal borne by the breeze – you know what I mean. And although Murphy’s Giselle was supplemented by “little” nuances that made her performance unique, Lane added nuances that I’ve never seen before, much less in a debut. Technically, unlike Murphy’s Giselle, which largely lived up to expectations, Lane’s Giselle far exceeded even the most hopeful expectations. Like Murphy’s Act I diagonal, Lane’s was perfectly executed, and in the rest of that act their execution was comparable as well. But even if there was little difference between them technically in Act I, Lane’s “village maiden” demeanor was particularly captivating, and her “mad scene” ranks with the best of those I’ve seen – and by best, I include Makarova, Vishneva, Cojocaru, and Kirkland. Deconstructing the Giselle mad scene isn’t productive: they’re always different (even with the same dancers) and there are few requirements. Lane’s mad scene began somewhat differently than I remembered from portrayals by other dancers – she kept her back to the audience for what seemed like an unusually long time. [Murphy did the same thing – perhaps it was common coaching.] But when she turned to face the audience, she was transformed. Lane shoehorned more detail into the same length of time and same music than I thought possible (while Murphy’s mad scene, not at all bad, seemed to cut it short by comparison). When it was over, and for the first time in many years (and the first of several times during the performance), I lost it. But Act II was the revelation. Lane has a physical advantage here, and she made the most of it. For a debut with so much at stake, I expected that she’d execute her introductory circular chugs relatively slowly. She did just the opposite – taking them as fast as I’ve ever seen. Several whom I’ve spoken with say that she traveled somewhat during the chugs, but from my vantage point I didn’t notice – I just saw an unleashed spirit spiraling appropriately out of control. Be that as it may, she continued for all but one beat of the longest period I can remember to that music. Murphy, who also chugged unexpectedly fast, apparently kept it tighter, but cut it short much sooner. Lane’s Act II arms were beautifully Romantic from the outset – not quite as profound as, say, Vishneva or Cojocaru, but then this was a debut. Overall, where Murphy’s Romantic Act II was superbly done from the shoulders up; Lane’s included her entire body. She wasn’t dancing a style; she embodied it. It was also technically astonishing. At one point in her Act II solo, before Giselle does the familiar backward-moving entrechats, she executes a set of side “leg beats” (releve – ronds de jambe en l’air) – first with the right leg, then the left, and then repeated. The finest Giselles I’ve seen (including Vishneva and Cojocaru) did, at most, three on the right, then maybe two on the left. Lane did four on the right, and four on the left (three the second time) – and the orchestra did not need to slow down to accommodate her. And although the backward-moving entrechats themselves were not at the level of, say, Vishneva, whose execution was incomparable, they were very well done, particularly since the tempo for that segment was considerably slower than it should have been – and she fully completed them all as she moved upstage and then toward stage left. By comparison, Murphy’s “leg beats” were more standard – down to one for the second left series. Her entrechats started off well enough, but as she moved backwards they became less clean, and although she ultimately moved considerably farther stage left than Lane did, at that point she was no longer executing discernable entrechats. And Lane’s backbend during the Act II pas de deux was fully 90 degrees (at least), and maintained flat for seconds. Murphy’s came close to that as well, but she returned upright immediately after she hit that low point. Beyond “just” Romantic style, Lane displayed another quality entirely. For want of a better word, call it soul. It permeated everything she did, but it was particularly evident in Act II. If you ask for a description – I can’t provide it, but I know it when I see it. Lane wasn’t playing a part – she was Giselle. Those who have read my reviews over the years know that seeing Gelsey Kirkland dance made me a balletomaniac. Evident from the first time I saw her on stage was her intensity, her perfectionism, and her stylistic purity. I’m not saying that Kirkland was the only one by any means: all dancers – at least all successful ones – share those qualities. But with her, I could see it, and feel it across the proscenium. Lane wasn’t the only dancer in Saturday afternoon’s performance with something to prove. There has never been any question of Simkin’s ability as a solo performer. His ballon, pirouettes, flexibility, and “tricks” are well known, and draw international audiences. But two essential qualities have been at best suspect: his partnering, and his ability to portray a nobleman. I recall once writing that sticking one’s nose into the air, as Simkin always seemed to do, doesn’t make one noble. And assigning him to partner Lane in this most significant of debuts I felt was a serious mistake – he was, I thought, too much into himself, and had nearly undermined her “second debut” as Aurora. I was wrong. With this performance, Simkin shattered both preconceptions. He still sticks his nose into the air, but now there’s aristocratic authority behind it. More significantly, Simkin’s partnering was exceptional and attentive. He moderated when he had to, focused on himself only when she wasn’t on stage, and allowed Lane to be as expressive and ethereal as she could be. What resulted was a performance that converted Albrecht from being somewhat of a scoundrel who didn’t really deserve Giselle’s love to being one in love with her from the outset notwithstanding his deception, a love that only grew as the ballet progressed. His Albrecht didn’t seem remorseful so much as lost without her. And the two of them in Act II were magical. His lifts as she traveled horizontally at one point, such a significant iconic set of images, perfectly complemented her weightless arms and body; his overhead lifts kept Lane aloft and immobile (he didn’t travel in a circle as Hallberg did; he “simply” held her for what seemed like minutes – without either of them moving a muscle – and then did it again). For his pas de deux solo, the one in which Hallberg executed those outstanding entrechats six, Simkin did brises down the line of Wilis, as Mikhail Baryshnikov did so memorably. It wasn’t quite as successful – there wasn’t the sense that he was being propelled forward by an invisible string – but in other respects they were impeccably executed. Every Albrecht attempts to do something to make his performance different and memorable, with varying degrees of success. Simkin did so as well, but with remarkable effectiveness. He didn’t just kneel when he arrived at Giselle’s grave ; he threw himself upon it in credible emotional agony. And when the ballet ends, usually Albrecht positions himself at the grave, or center stage, or walks downstage, either in bewilderment, adoration, or wonder, or all the above. Anyone seeing the concluding movements from a Baryshnikov Albrecht will never forget him cradling the bouquet of lilies that Giselle had given him, leaving her grave in disbelief, and slowly dropping the flowers as the curtain fell. Simkin returned to Giselle’s grave, again prostrated himself, and poured his heart out. It was the most distinctive, and memorable, of final images I’ve seen since…Baryshnikov. Do I have some negative observations? Yes, a few. Neither performance was “perfect,” whatever that means, but the criticisms, such as they are, are so minor as to not be worth mentioning (and most, if not all, probably resulted from insufficient Met stage rehearsal time). Effectively, they nailed it. And it wasn’t just them: I regret that I can only acknowledge two of the other sterling debuts Saturday afternoon: Christine Shevchenko’s masterful Myrta, and Craig Salstein’s Hilarion, who didn’t have a boorish bone in his body, and didn’t deserve his fate. They were as significant to this performance as Abrera’s towering Myrta was in the evening. Analyzing these performances as I’ve attempted here to do doesn’t really tell the half of it. There was something special in the afternoon’s performance that is almost impossible to define, and sounds almost too spiritual. The orchestra’s tempo through much of Act II was almost at dirge-pace. Usually I’d complain that it was too slow; and/or that the cast was transparently milking every possible second. But, except for the exceptionally tedious tempo during Giselle’s backwards-moving entrechats when Lane had to adjust down to the beat, not this time. The action on stage was so mesmerizing I didn’t care – indeed, the more I watched the execution moment by moment, the more I felt as if I was watching poetry in motion, and something akin to a visual hymn. Further, there was one dominant image that made this performance particularly exceptional, and particularly uncanny. In the “usual” performance, when Giselle’s image first appears to Albrecht in Act II, after the first few passes she stops in front of him and drops a bouquet of lilies at his feet. Although at that moment she was still “invisible,” to Albrecht the flowers are confirmation that Giselle, in some form, still exists, is there, and forgives him – and still loves him. Lane and Simkin did it a bit differently – and the moment was all that and more. As she stood above him, and as he looked up, Lane didn’t drop the flowers at Simkin’s feet – she released them directly over his head. From my viewing angle, maybe because of the way the light hit them, all I could see were cascading flower petals (and, somehow, perhaps that’s what they were – it was, after all, a magical performance). It looked as if Simkin was kneeling beneath a shower of shimmering white confetti, and his awe-struck expression was as if he was receiving unexpected absolution. In a performance filled with indelible images, that one perhaps will stick in my mind the most; it reflects an unfathomable quality that was as much metaphysical as it was real. I use the word advisedly, but it was as if this performance was blessed. Now, more than 40 years later, there’s a new Giselle for our time. Bulletin: ABT has announced that Lane will be performing Giselle again on Wednesday evening (May 31), replacing Maria Kochetkova. She will be partnered by Herman Cornejo.